He was born in West Point, Mississippi. Strong was among the first artists signed to Berry Gordy's fledgling label, Tamla Records, and was the performer on the company's first hit, "Money (That's What I Want)", which reached No. 2 US R&B in 1960. The single was originally released on Tamla, Motown's first label, but was then leased to the Anna label as it was getting airplay, and it was on the Anna label that it was a hit. It sold over one million copies, and was awarded a gold disc by the RIAA. "Money" was later recorded by a number of acts, including the Beatles, the Rolling Stones, the Kingsmen, Richard Wylie and His Band, Jerry Lee Lewis, the Searchers, the Flying Lizards, the Sonics and Buddy Guy. Strong claims that he co-wrote "Money" with Gordy and Janie Bradford; his name appears on the song's original copyright registration with the United States Copyright Office. Gordy disputed these claims, stating that Strong's name was only included because of a clerical error. In the mid 1960s, Strong became a Motown writer lyricist, teaming with producer Norman Whitfield. Together, they wrote some of the most successful and critically acclaimed soul songs ever to be released by Motown, including "I Heard It Through the Grapevine" by both Marvin Gaye and Gladys Knight & the Pips; "War" by Edwin Starr; "Wherever I Lay My Hat (That's My Home)" by Paul Young; "Smiling Faces Sometimes" by the Undisputed Truth; and the long line of "psychedelic soul" records by the Temptations, including "Cloud Nine", "I Can't Get Next to You", "Psychedelic Shack", "Ball of Confusion (That's What the World Is Today)", and "Papa Was a Rollin' Stone", amongst others. Strong received a Grammy Award for Best R&B Song in 1973 for "Papa Was a Rollin' Stone". Strong and Whitfield also co-wrote the ballad "Just My Imagination (Running Away With Me)", a 1971 Billboard No. 1 that also marked the last Temptations single to feature original members Eddie Kendricks and Paul Williams. 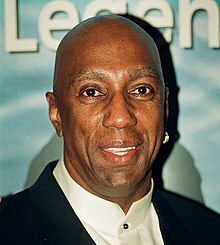 After Motown moved its operations base from Detroit, Michigan, to Los Angeles, California, Strong left the label and resumed his singing career. He signed with Epic in 1972. Strong left the label for Capitol Records, where he recorded two albums in the 1970s. In the 1980s, Strong recorded "Rock It Easy" on an independent label, co-wrote the Dells' "Stay in My Corner," and wrote "You Can Depend on Me", which appeared on their The Second Time album (1988). He was inducted into the Songwriters Hall of Fame in 2004. Strong has re-released his latest album, Stronghold II, which he wrote and composed in collaboration with rocker/songwriter Eliza Neals in 2008, in digital format only. In 2010, Strong appeared in "Misery", his first music video in his fifty years of recording music, co-produced by Eliza Neals and Martin "Tino" Gross with Strong at the helm. ^ "Barrett Strong Biography". OLDIES.com. Retrieved August 9, 2013. ^ a b c d e Ron Wynn (February 5, 1941). "Barrett Strong : Biography". AllMusic. Retrieved August 9, 2013. ^ Rohter, Larry (August 31, 2013). "For a Classic Motown Song About Money, Credit Is What He Wants". The New York Times. Retrieved September 1, 2013. ^ "Barrett Strong". IMDb.com. Retrieved January 1, 2008. ^ "iTunes – Music – Stronghold II by Barrett Strong". Phobos.apple.com. February 5, 1941. Retrieved August 9, 2013. ^ ""Misery" Eliza Neals – Official Music Video". YouTube. June 21, 2010. Retrieved August 9, 2013. ^ "Barrett Strong – Money (That's What I Want) / Oh I Apologize (Vinyl) at Discogs". Discogs.com. Retrieved August 9, 2013. ^ "Barrett Strong – You Knows What To Do / Yes, No, Maybe So (Vinyl) at Discogs". Discogs.com. Retrieved August 9, 2013. ^ "Barrett Strong And Rayber Voices* – Whirlwind / I'm Gonna Cry (If You Quit Me) (Vinyl) at Discogs". Discogs.com. August 31, 1960. Retrieved August 9, 2013. ^ "Barrett Strong – Seven Sins / What Went Wrong (Vinyl) at Discogs". Discogs.com. Retrieved August 9, 2013. ^ "Barrett Strong – Stand Up And Cheer for the Preacher at Discogs". Discogs.com. Retrieved August 9, 2013. ^ "Barrett Strong – Surrender (Vinyl) at Discogs". Discogs.com. Retrieved August 9, 2013. ^ "Barrett Strong – Is It True (Vinyl) at Discogs". Discogs.com. Retrieved August 9, 2013.